Save the laboratory from the Artificial Intelligence gone crazy. 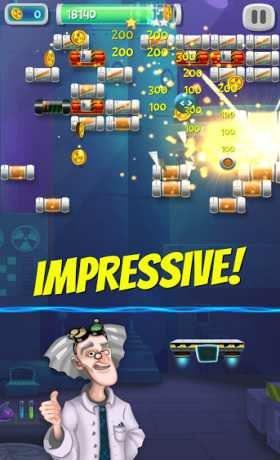 Break hazardous bricks and take back control of the lab in this breakout brick breaker game. Shoot the ball around the room to break bricks and clear the level – much like in classic arkanoid or breakout games. 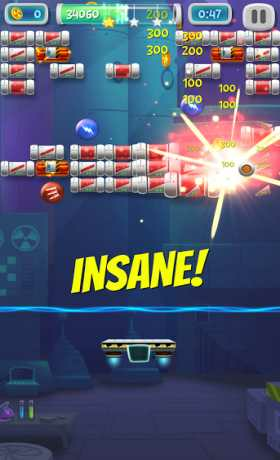 Use powerful boosters such as gun, wrecking ball, fireball, electric ball and others for massive bricks demolition and break your way through dozens of fun and challenging levels, different types of bricks and level modes. 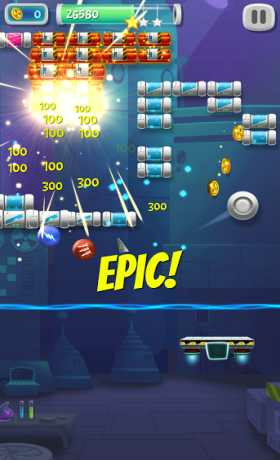 Perform crazy shots to break multiple bricks at once, get all the stars and score bonus points like a true brick breaker hero. Connect with Facebook to see your friends’ scores and get free lives! Brick Breaker Lab is completely free to play but some optional in-game virtual items will require payment with real money. You can disable in-app purchases in your device’s settings. Classic brick breaker games just got in trouble! Free arkanoid has never been this fun before. Be a true brick breaker star and start this bricks demolition now!